Bird of prey vector design of an owl sitting on a tree branch. Silhouette graphics of the calm animal. Curious night bird looking up. Free vector design to create Halloween, birds, night animals, owls, nature, fauna and ornithology visuals. Download owl image for posters, decals, flyers and Halloween greeting cards. 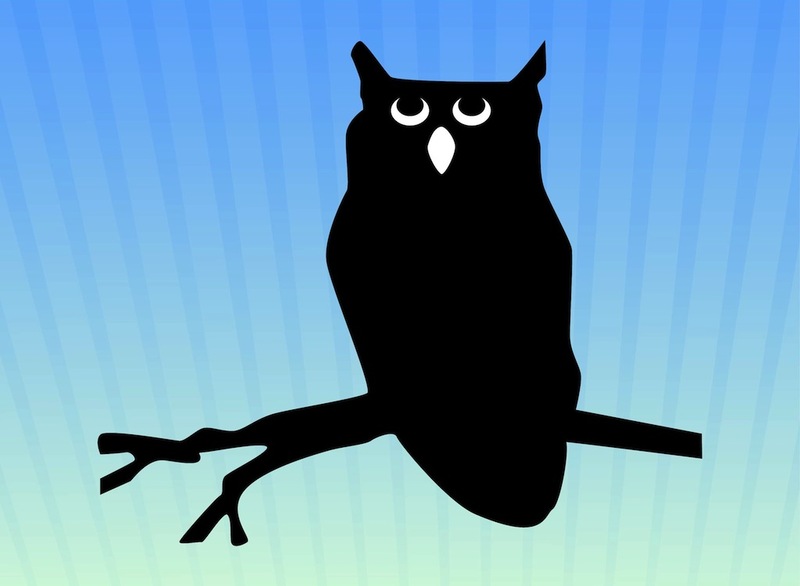 Tags: Animal, Bird Of Prey, Branch, Halloween, Nature, Night, Silhouette.